How does the BCSA’s mandatory introduction of CE marking affect me, and how can StruM.I.S help? As of 1st July 2013, the Construction Products Directive (CPD) will be removed and replaced by the Construction Products Regulation (CPR). The main difference between the two is that the CPR is mandatory and comes into effect in the UK and RoI law on 1st July 2013. The CPR makes CE marking mandatory in all member states including the UK and RoI for construction products covered by a harmonised standard or a European Technical Assessment that is in force. CE Marking is a regulatory mark applied by the manufacturer that is a declaration to public authorities and clients that the product satisfies required levels of health and safety (concerning such issues as release of hazardous substances and structural strength). How does this affect you – steelwork contractors? From the 1st July 2013 steelwork contractors must have in place a purchasing system that will ensure that essential products (steel sections, structural bolting assemblies, welding consumables etc.) are covered by a Standard (specification), purchased and correctly CE marked. The model purchase specifications for structural sections and bolting assemblies produced by BCSA may be used to develop a purchasing system that complies with the CPR. The CE Marking standard for fabricated steelwork is BS EN 1090-1 and this is supported by the fabrication standard BS EN 1090-2 and the welding quality management standard BS EN ISO 3834. Those affected by CE Marking must put in place a Factory Production Control system (FPC) and have the system certified by a Notified Body. For Audit purposes traceability is now a key factor in gaining CE accreditation. AceCad Software, along with StruM.I.S – a complete steel fabrication management system and Essentials by StruM.I.S – A light steel fabrication management information and production system for Small to Medium (SME) sized engineering and steelwork fabrication companies, will help you gain CE Marking accreditation, as we have off the shelf products available to assist you with traceability. Designed especially for smaller fabrication teams and with the features that smaller businesses need, Essentials by StruM.I.S is the perfect management system to assist in the tracking of production, purchasing and is a one stop solution for documenting the day to day running of your business. 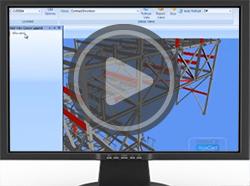 Richard Brotherton, Managing Director of AceCad Software commenting on the release of Essentials by StruM.I.S said, ’Essentials opens a world of potential business advantages on the steelwork project to all in the sector. Smaller fabricators can now experience new levels of capability, unrivalled in the industry, to deliver benefits to their businesses and other project stakeholders’. AceCad is aware of the current grievance felt by UK companies due to the recent changes in the construction industry. We have therefore created a cost effective solution that can not only be implemented smoothly, but also see you earn a return on your investment. Want to have a chat with a representative on how StruM.I.S can help? Click here to request a call back.